Buy 1 - 11 for $18.99 ea. Buy 12+ for $12.99 ea. 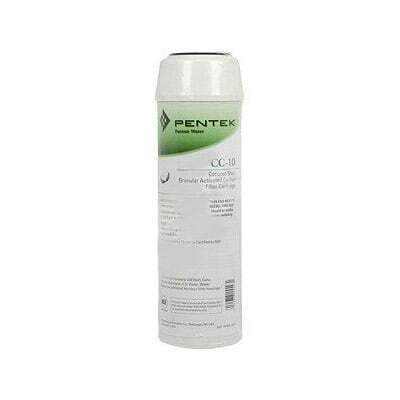 The Pentek CC-10 replacement water filter series boasts a granular activated carbon filter media that effectively reduces the taste and odor of chlorine, a number of VOCs, and other contaminants sometimes found in drinking water. 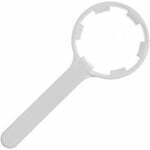 The filter is also refered to by other brands such as Ametek, Culligan, Pentek, US Filter, and also known as the American Plumber WCC. 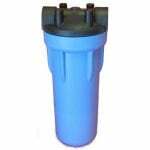 The 20 micron rating provides premium water filtration at an affordable cost. 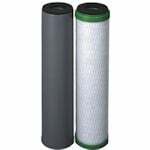 The up-flow design of 10-inch filter allows for a greater amount of water to contact the carbon media for increased efficiency and purification.